HAMILTON, New Zealand - Auckland City FC's drive for back to back National Youth league titles gets back on track with victory over Hamilton Wanderers at a rain-soaked Porritt Stadium today. Struggling off the back of three consecutive draws, Camilo Speranza's youngsters scored a goal in each half to get back to winning ways and establish a two points cushion at the top of the table. Jackson Woods netted just after the half-hour mark and Justin Bailey doubled the advantage when he scored midway through the second half. One blow for the Junior Navy Blues was the loss of Dhanush Chandra who was injured and replaced at the halftime break, a loss Speranza said would be keenly felt. Coach Camilo Speranza was proud of the way his team responded in the wet weather and in overcoming a form blip last month. "I'm very pleased for the boys but the actual dynamics of the game were any different to any other game we've played in the past month. "We played pretty well, the way we wanted to play and Wanderers didn't have a lot of chances but we did but for whatever reasons we weren't able to add to the scoreline. "We did an awesome job as a team and came through a rough month in terms of results and that influenced our mood. It was a great test of character against a lot of adversity. "This group has shown themselves up well. The wet weather was difficult but we created many chances - sometimes your accurate, sometimes your not. "Today was good for our confidence ahead of Team Wellington next week. We lose Dhanush because of injury which is sad. 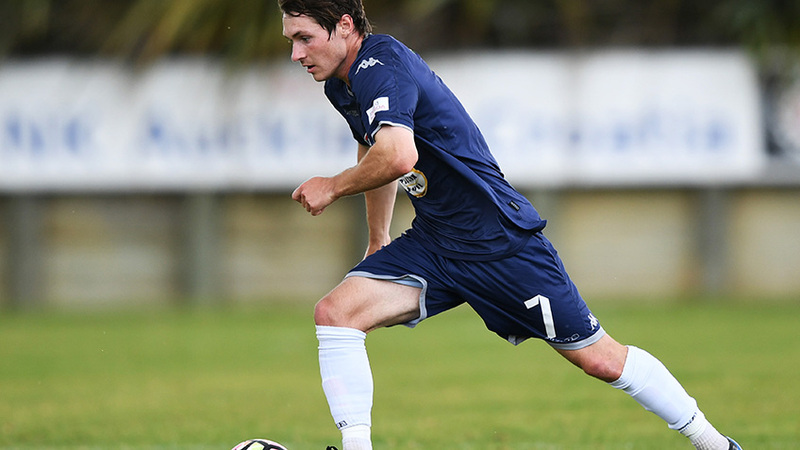 He's a key player and we'll miss him but we'll work very hard over the next week to prepare," he told www.aucklandcityfc.com. The margin for error headed into the final two games remains extremely slim with the top five separated by just three points and Team Wellington slightly further behind the chasing pack but with a game in hand against Canterbury United in Petone tomorrow. The Junior Navy Blues next match is crucial when they take on Team Wellington on Saturday 8 December 2018 at Kiwitea Street at 2pm NZST. Their final game of the campaign is away to Tasman United at Saxton Field a week later. AC: 1. Cameron BROWN (GK), 2. Nathan LOBO, 3. Jackson WOODS, 4. Robert TIPELU, 5. Dhanush CHANDRA (25. Otto INGHAM 46'), 7. Justin BAILEY, 8. Oscar SPRAGG, (22. Micaiah PAPA 65') 9. Thomas DRILLIEN, 11. James GREEN (20. Laith AL-KALISY 82'), 13. Joshua JONES (c), 21. Callum McNEILL. SUBS NOT USED: 24. Gareth LEWIS (GK), 6. Daniel THIBAUD.